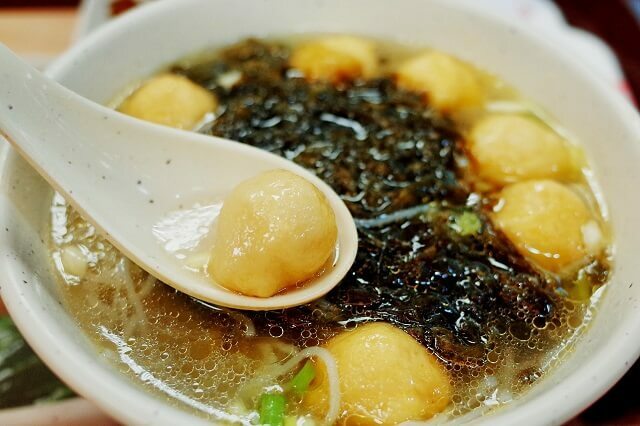 Xinghua Shagou fish ball is a local featured dish in Xinghua; the main material is the top grass carp, the flavors include lard oil, food grade salt and green Chinese onion etc. and being divided into the brown and white types, the dish is made by oil soup or water soup. 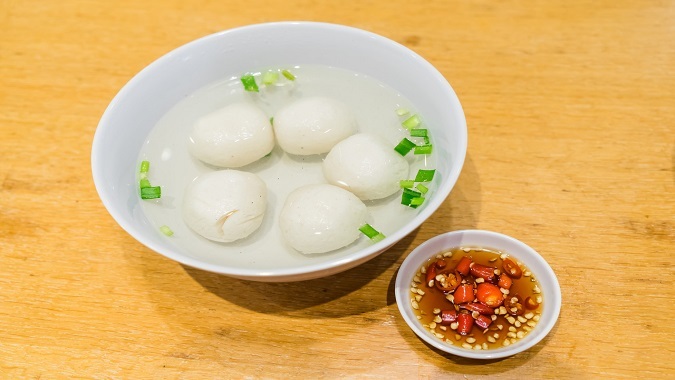 With a long history, Xinghua Shagou fish ball was popularly made as early as in the late Ming Dynasty and the early Qing Dynasty, and now it is a delicacy for Xinghua people to treat guests. 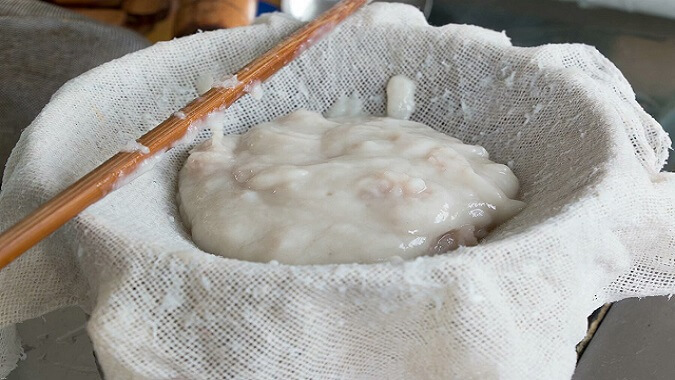 When the oil soup fish ball is put into the oil pot, it floats very soon, then it is put onto the table; it is round, golden yellow with snow white fish meat inside, and it tastes delicious but not oily. It is featured as fine, fresh, tender and pliable. 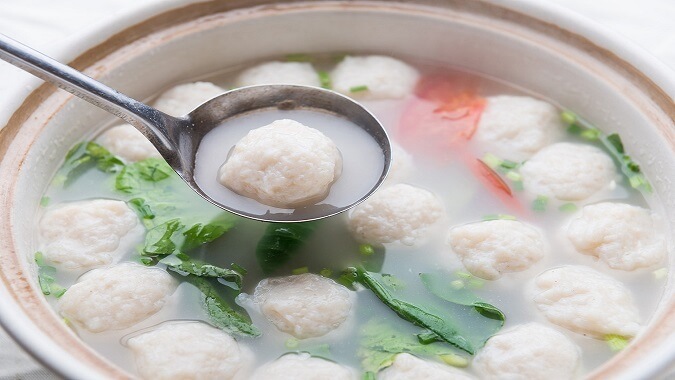 Xinghua people like the fish ball not only because it is fresh and delicious, but also because the fish ball has an auspicious connotation as abundance and reunion.